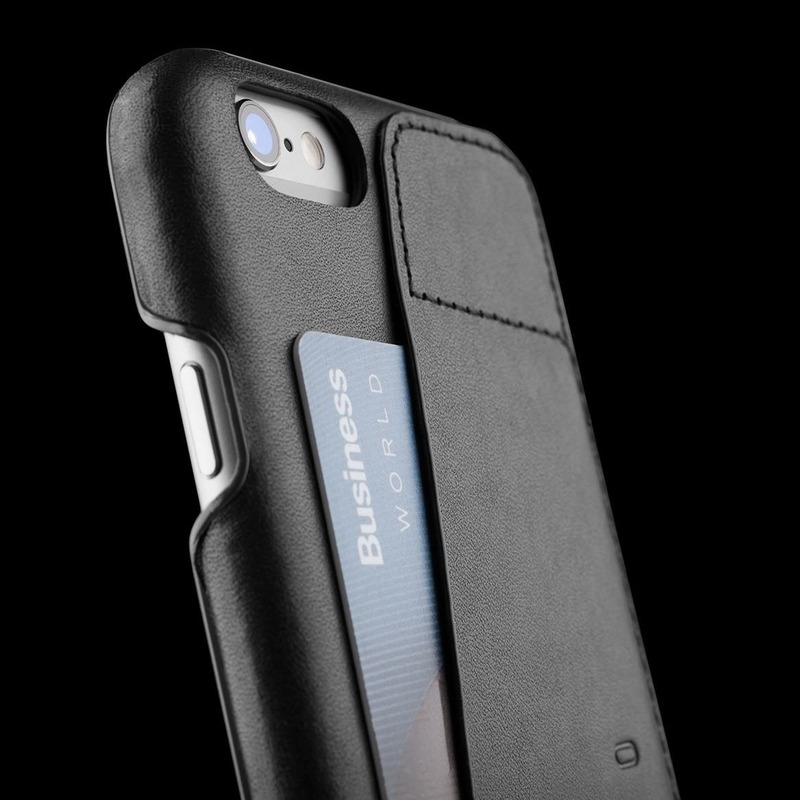 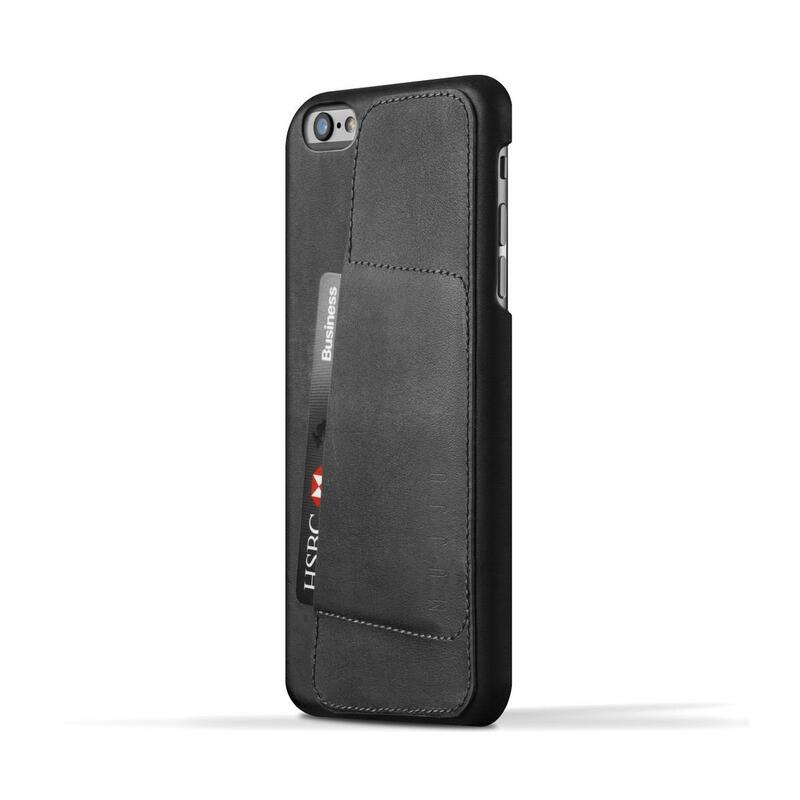 The leather Wallet Case 80⁰ in black color by Mujjo is designed to carry your iPhone 6 Plus and your most important cards (driver's license, a key) in one sleek package. 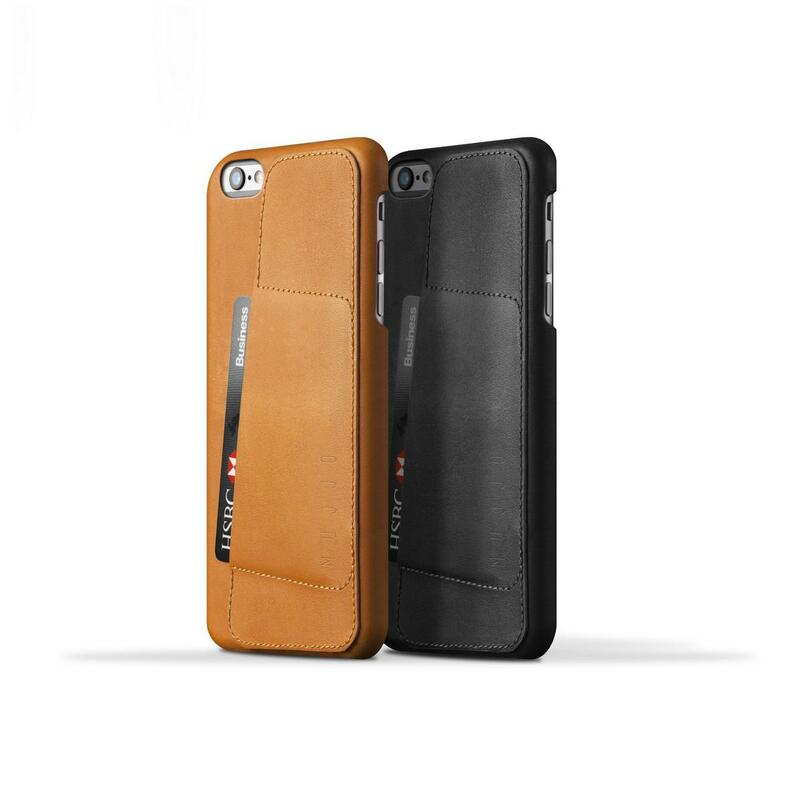 The difference with the Wallet Case by Mujjo, except for the fact that it fits the slightly larger iPhone 6 Plus, the Wallet Case 80⁰ differs in aesthetics with a slanted pocket. 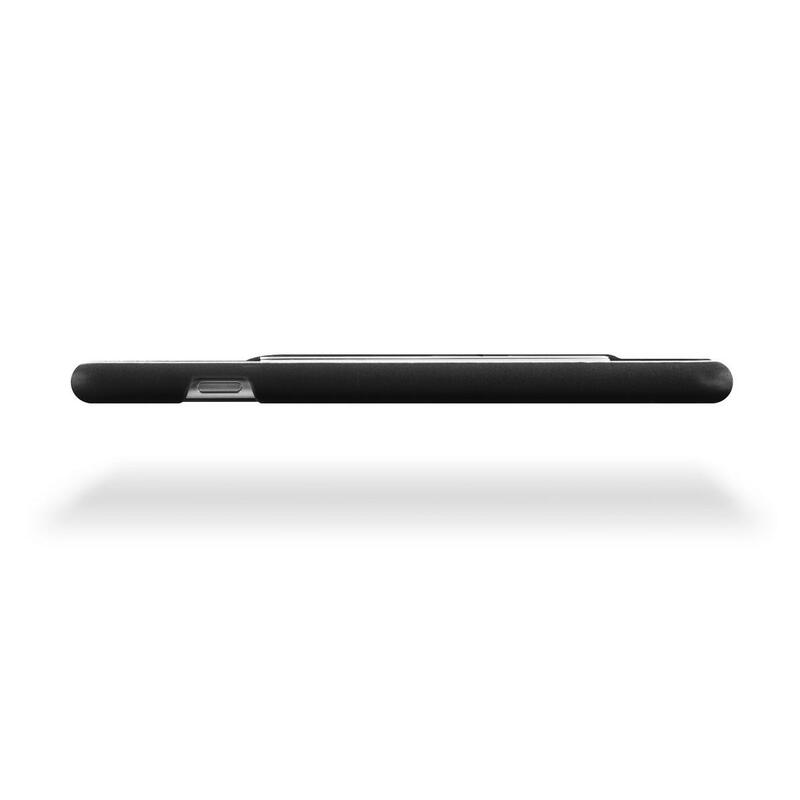 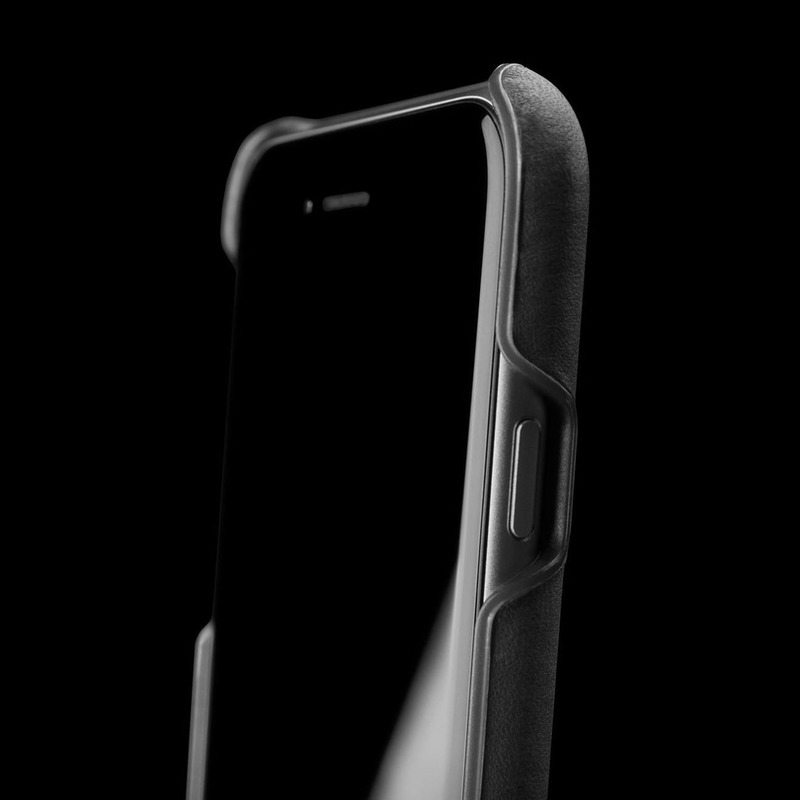 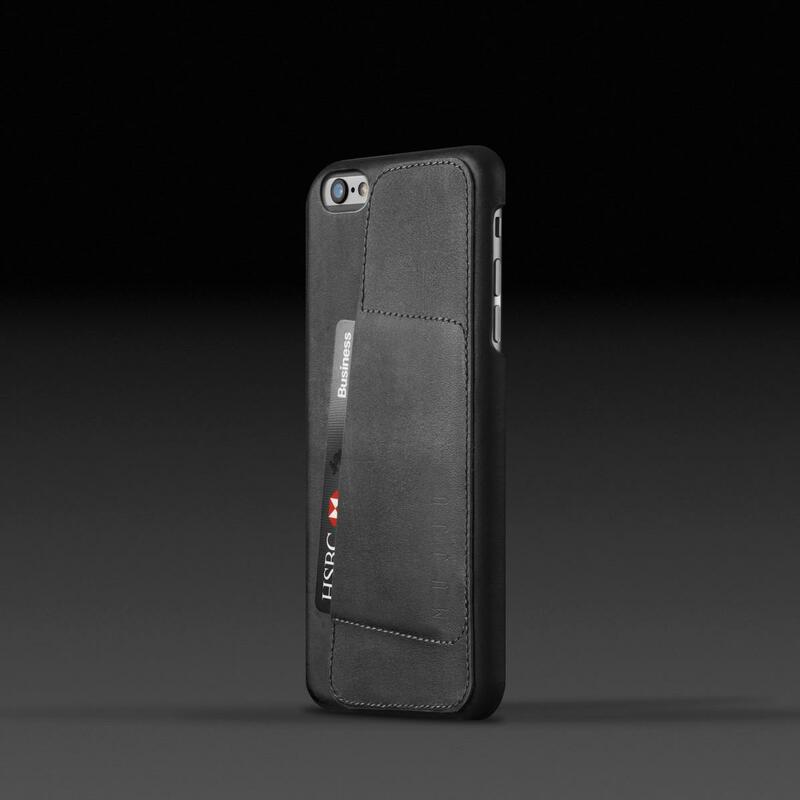 The leather iPhone 6 Plus Wallet case (Black) belongs to the Low Key collection by Mujjo. 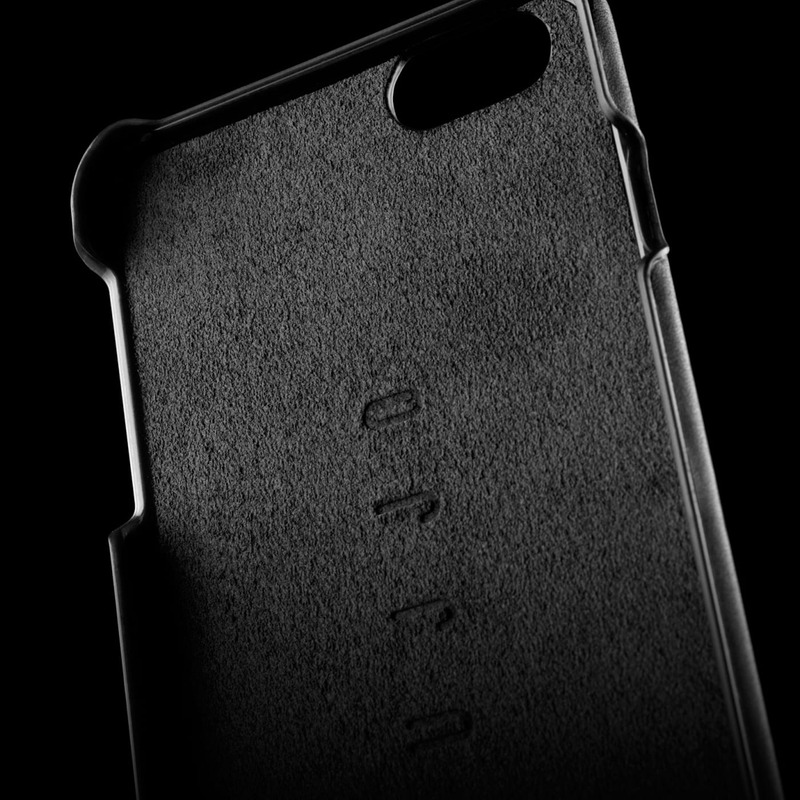 The Low Key Collection is restrained in style and quality and features an observably “masculine” character that embodies well-considered materials in uniform dark tones, with few areas of contrast intensifying the understated design. 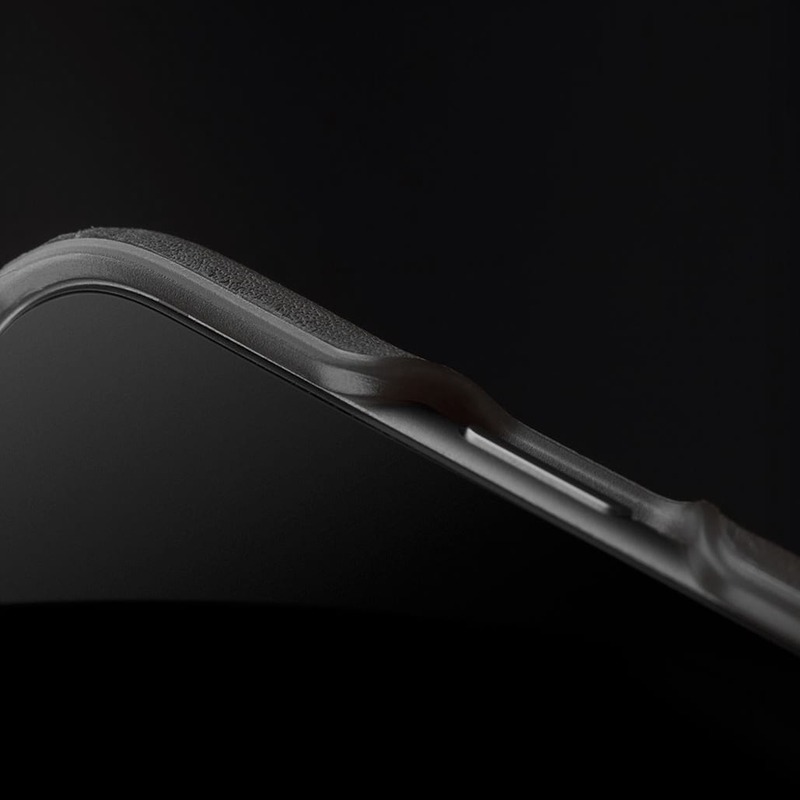 The contrasting textures create tension by highlighting the slant and sleek lines while uniform dark tones amplify harmony.